This image was from our first ever wedding at Waterton Park Hotel in Walton near Wakefield, West Yorkshire. 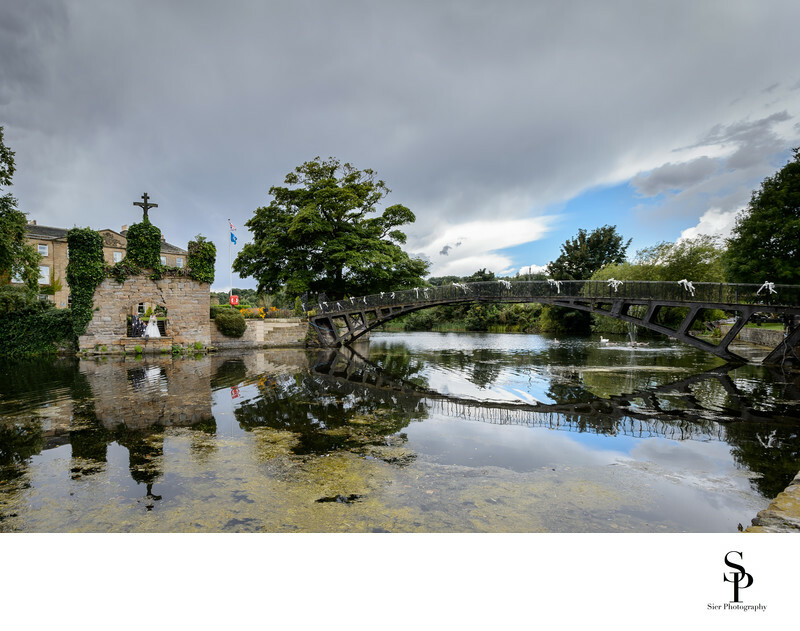 Waterton Park Hotel has as its centrepiece the magnificent and Grade II listed Walton Hall set in the middle of a gigantic lake forming a moat around the Hall. 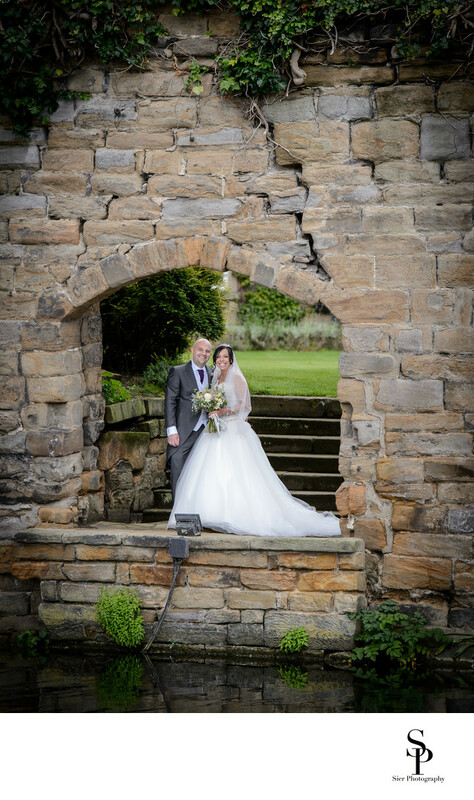 The image above shows the archway built into part of the wall of surrounding the hall and provides an interesting frame to the image of our happy couple. The only way to access the island is by boat or by the iron bridge. This is really unusual and provides for some wonderful photo opportunities and fun for the guests. it also means that everything that needs to get to the hotel (including barrels of beer) also need to travel by boat with only the lighter items being taken across the bridge! We love unusual venues and this has to be one of the most unusual features we have seen so far. Walton Hall itself is simply stunning with the most magnificent staircase I've seen outside a stately home complete with huge window running the full height of the building it is amazing. 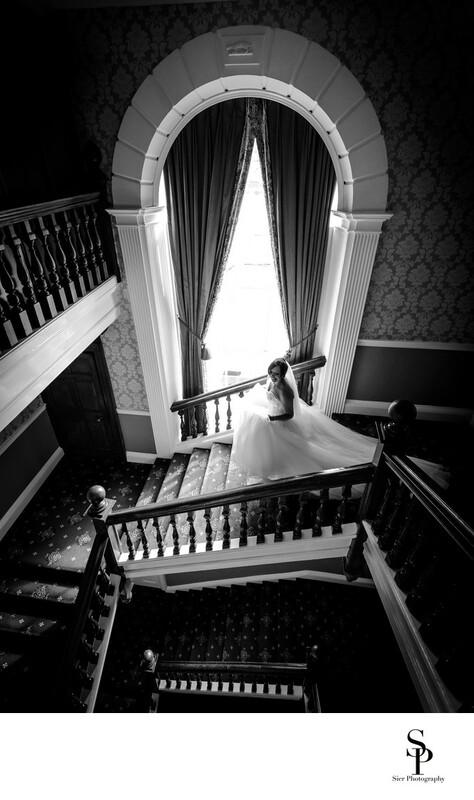 There cannot be many staircases like this around, we love it and hope to be fortunate enough to come back here again to capture another wedding. 1/200; f/5.0; ISO 200; 180.0 mm.